The C100 has a large sensor and takes interchangeable lenses, but it’s much better than a DSLR for filmmaking. The Canon C100 is the most affordable camera in Canon’s Cinema EOS range. These interchangeable lens cameras combine many of the advantages of DSLRs and professional camcorders. 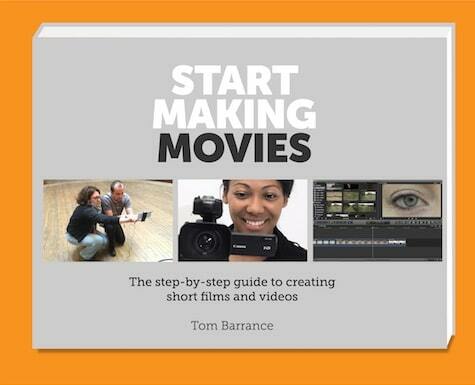 They’re a great choice for documentary and corporate video work, and low budget indie filmmakers. Like a DSLR, the C100 has a large sensor and takes high quality lenses, but it’s designed for shooting video. So it has much better handling and audio, you’ll need fewer accessories, and it’s much quicker to set up and use. The C100 has a removable handgrip on the right, a detachable top handle for low angle shooting, a tilting LCD screen and an eye-level electronic viewfinder. You can access key controls quickly with customisable buttons on the camera body. The top handle has XLR audio inputs and controls for using professional microphones. Video is recorded from the whole of the 8MP CMOS sensor, so the shots are sharper and have much less moiré/aliasing than SLRs. It’s a lot easier to get good footage in low light: the base ISO (the setting that produces the best quality images) is a high 850. You can get usable footage up to around 20000 ISO (it goes up to 80000). You can shoot in contrasty scenes without losing highlight detail by using Wide DR mode (usable straight out of the camera) or C-Log (which must be colour corrected afterwards). Built-in neutral density filters (2, 4 and 6 stops) let you keep the shutter speed down and the aperture open when shooting in bright light. This is much more convenient than using add-on filters with a DSLR. 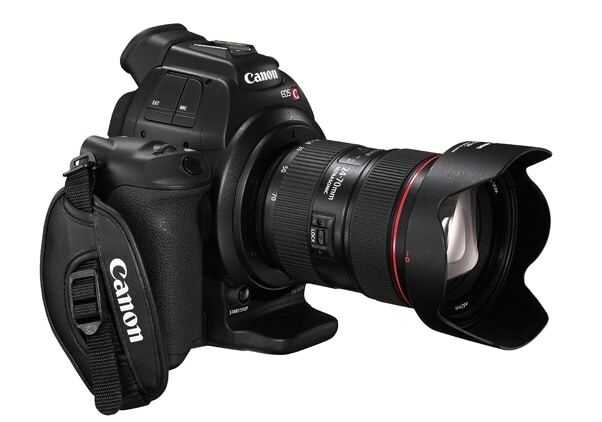 The C100 has a Super 35 sensor, which is slightly larger than the APS-C sensor in cameras like the T5i and 80D. So you can get good shallow focus effects. You can use EF-S lenses which are smaller and less expensive than lenses for ‘full frame’ cameras. The camera records 1080p Full HD at 24, 25 or 30fps to AVCHD files at up to 24 Mb/s, Internally, it’s limited to 4:2:0 at 24Mb/s, but with an external recorder such as the Atomos Ninja or Blade you can export uncompressed ‘broadcast quality’ 4:2:2 video. It can also shoot 60i/50i slow motion, but only in ‘interlaced’ (not ‘progressive’) mode, which isn’t as good. The C100 can be upgraded to fast Dual Pixel autofocus. 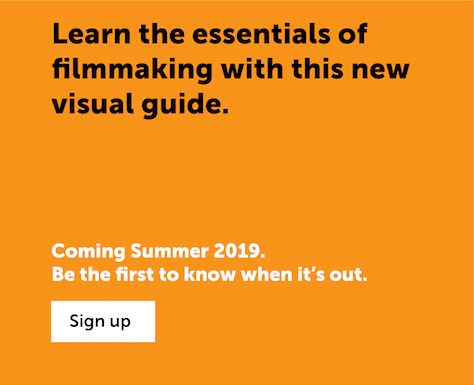 This is very useful for news and documentary shooters, but it’s an expensive add-on: if you’re buying used, check whether the camera has already been upgraded. Should you buy the C100? If you want excellent video quality with film-like depth of field and camcorder-like handling, the C100 is hard to beat. It’s a bit more expensive than one-inch sensor camcorders like the Sony PWX-70, and it can’t shoot 4K, but you’ll be able to get more film-like images with it. The C100 is useful for drama as well as factual filmmaking. If you’re on a tight budget, having a camera with a good dynamic range, audio and low light performance means you can work faster and lighter. If you’re looking to upgrade from a Canon APS-C camera like the T5i or 60D, it may make sense to choose the C100 rather than a ‘full frame’ SLR like the 5D Mk III or IV. You’ll get better footage (though you won’t be able to shoot high quality stills), you’ll need fewer add-ons, and you’ll be able to use your EF-S lenses. THE MECHANIC from Noam Kroll on Vimeo. Naom Kroll used the C100 to shoot his short The Mechanic in five hours. Here’s his article on why he used the C100. Pulse by StillMotion from Canon Pro on Vimeo. StillMotion’s documentary Pulse makes great use of shallow focus and the C100’s wide dynamic range and low-light capability. 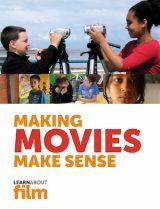 There’s also a ‘making of’ film (made for Canon). The C100’s excellent low light performance means that you can get usable results with slower, less expensive lenses like the 18-135 f/3.5-5.6 IS USM18-135 f/3.5-5.6 IS USM. But constant aperture lenses are useful, to avoid exposure changes when you zoom. The professional 24-105 F4 L24-105 F4 L lens is popular with C100 users though it doesn’t go very wide on the crop sensor. The 17-55 f/2.8, designed for APS-C cameras, is faster and slightly less expensive. If you can afford it, the MkII version of the camera has better handling and proper slow motion. Dual Pixel AF is included and it now offers face tracking, the electronic viewfinder is much improved, and the LCD screen is better. It can also record in MP4 format at 35Mb/s: in theory that should make for better image quality than the original, but users say it’s hard to see much difference. This page includes affiliate links. For more information click here.